February 30, 2017, News! Welcome Prof. Hossam A.Gabbar from University of Ontario Institute of Technology (UOIT), Canada to be one of the keynote speakers. January 20, 2017, News! Welcome Prof. Jim P. Zheng from Department of Electrical and Computer Engineering, Florida State University, Florida, USA to be one of the keynote speakers. 25 January, 2015, News! Welcome Prof. Ioana Demetrescu from University Politehnica Bucharest, Romania and Prof. Byoung Ryong Jeong from Gyeongsang National University,Korea to be the keynote speakers. 30 April, 2014, News! Welcome Prof. Yuying Yan and Prof Mark Gillott (University of Nottingham, UK) to be the keynote speakers of ICEEA 2014. 5 February, 2014, News! Welcome Prof. Ioana Demetrescu (University Politehnica Bucharest, Romania) to be the keynote speaker of ICEEA 2014. 16 January, 2014, News! We will arrange a visit at Creative Energy Homes in University of Nottingham. 10 July, 2013, News! Welcome Prof. Umran TEZCAN UN from Anadolu University Eskisehir, Turkey to join into the Technical Committees of ICEEA 2013. 17 May, 2013, News! Welcome Prof. Je-Lueng Shie and Dr. Yan Qu to join into the Technical Committees of ICEEA 2013. 3 April, 2013, News! We have invited Prof. Kokyo Oh (Center for Environmental Science in Saitama, Japan) and Prof. Chan-Jin Park(Dept. of Environmental Engineering College of Urban Science University of Incheon) to be the keynote speakers of ICEEA 2013. 1 April, 2013, News! Welcome Prof. Goksel Demir to join into the Technical Committees of ICEEA 2013. 5 December, 2012 News! 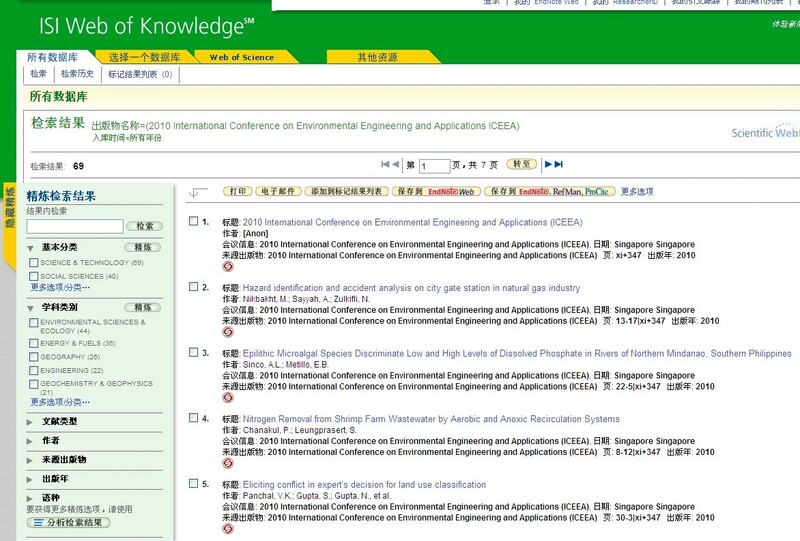 ICEEA 2013 will be included in ProQuest.